This week we talked about different types of landscapes because this term we are learning about how landscapes can change over time. These changes can be very fast or very, very slow, perhaps even taking millions of years! An example of a fast change could be a tree falling. Changes that can happen in one day night be changes in the sky! The sun rises and sets, clouds move, day and night. Landscapes can change by the season, or continue to change year by year with plants growing or dying. Floods or droughts can change the landscape too. 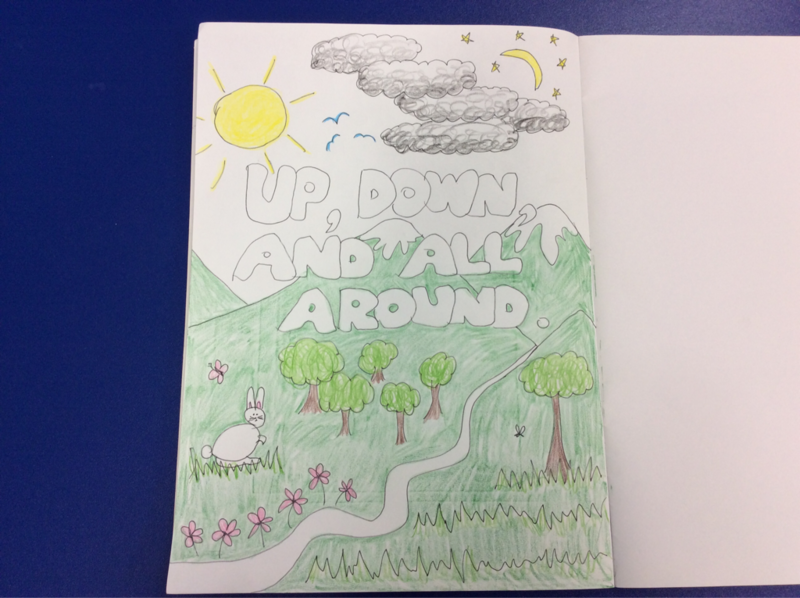 This week we got our science notebook ready for the new unit of learning by drawing a beautiful title page with fancy writing (Mrs Marini helped with the bubble writing! ).